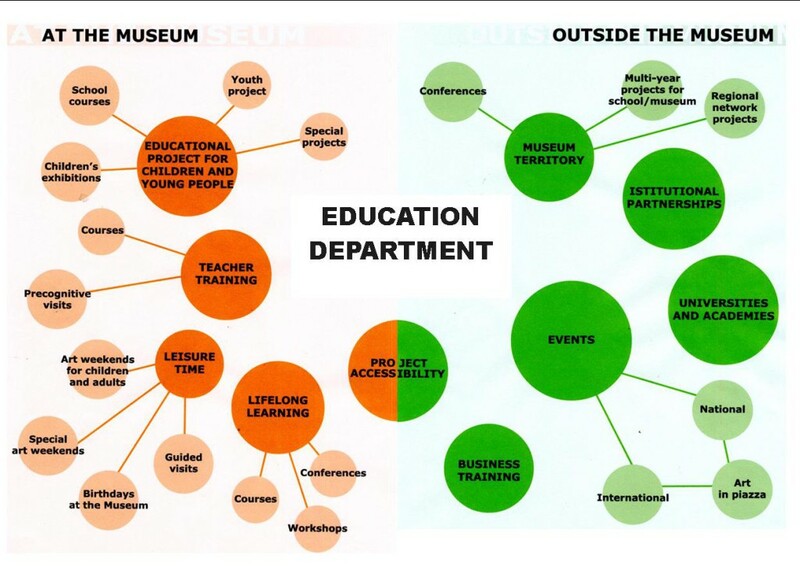 The Education Department plays an essential role in the Museum’s life. Set up in 1984 and in conformity with the mission of the Castello di Rivoli Museo d’Arte Contemporanea, it promotes and spreads awareness of contemporary art and culture inside and outside the Castle. The programmes are aimed at different audiences: schools, institutions involved in education, the training, cultural and promotional sector and to families and the public generally. The methodological, conceptual and operative framework conforms to the inspiring principle of Educating towards art with art and takes material form in methods that turn the spectator into a protagonist: the encounter with art inside and outside the Museum translates awareness into a genuine life experience. The innumerable activities, in line with national and international standards, are inspired by principles of lifelong learning, peer education and total accessibility for the disabled. 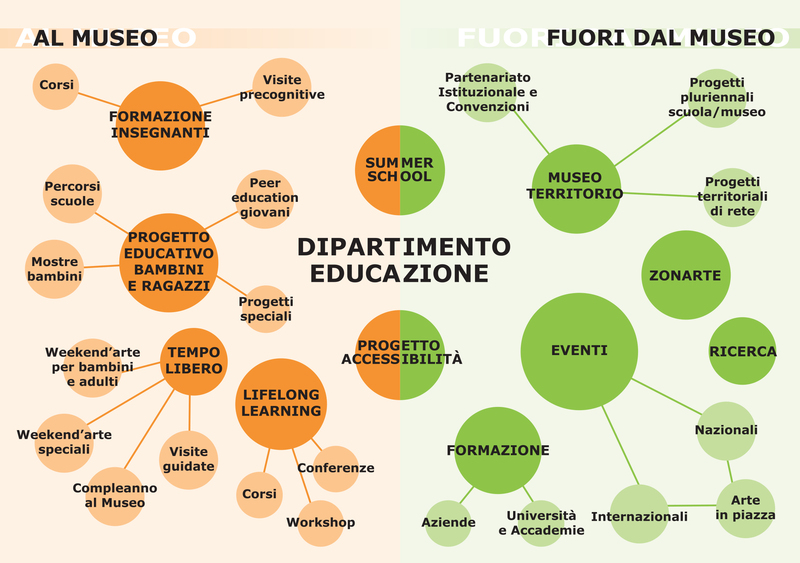 Thanks to its experimental and research activity, the Education Department has highlighted the importance of education in art within society, obtaining recognition and national and international awards, including the Rivoli Prize from the Rotary Club in 2010 and the Minimum Prize in 2009, awarded by the Cittadellarte Fondazione Pistoletto. Since 2011, the Education Department has also obtained accreditation from the MIUR – Ministero dell’Istruzione, Università e Ricerca (Ministry for Education, Universities and Research) as a training facility for school teachers. Over the years, the Education Department has also developed an international network of collaborations all over the world, from Rivoli to Australia.